10/14/14 by Team Tyler | Updates | Comments Off on Happy Birthday Tyler! In a few hours, it will be Tyler’s 18th birthday – even as I type those words, I cannot believe that he would be turning 18 if he were here. It’s so hard to believe that he would be in his senior year, driving, dating, even preparing for a mission. As time manages to still move forward, I will say that I am getting much better at dealing with the hole in my heart, and can look back at most memories of Tyler and smile rather than cry. It still is hard for me to see his friends at times doing things I would have loved to see him do – but it IS getting easier to realize that he doesn’t care a bit about those things now and that time will continue to pass no matter what we do. We can ride it out with bitterness or pain, or choose to move on and do our best with the blessings we have been given. We are trying to do the latter. So…for Tyler’s birthday this year, I thought I’d share some pictures and the video of the amazing 5k we held earlier this summer. 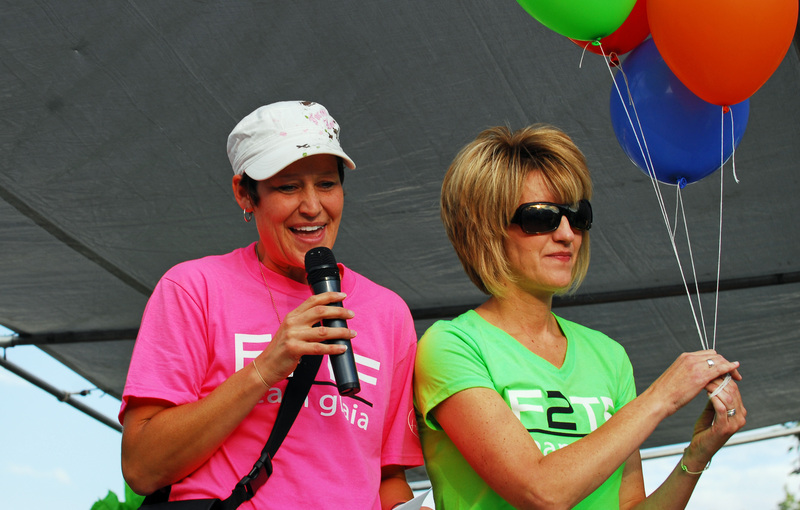 Our theme this year, along with F2TF, which will always be what the 5K is about, was ‘Hope’. I cannot think of a word that means more to me than hope. When Ty was here, I always had hope for the miracle of his cure, for a good day, for less suffering. With Tyler’s passing, my hope has changed courses a little, but I want all to know, I still am filled with hope – just a different kind. I have hope for the future of my family – I have hope of where I want us to be when this life is over, and I have hope for all those I love to be able to face the challenges they are facing with the same. Tyler’s home nurse brought me a small wooden sign early in his treatment that read, “Hope – the best medicine.” I referred to it often, and I actually still keep it up on my shelf to remind me always. Hope is still the best medicine to sooth the aching soul, whatever the trial may be. I am truly grateful for my own personal ‘hope’. 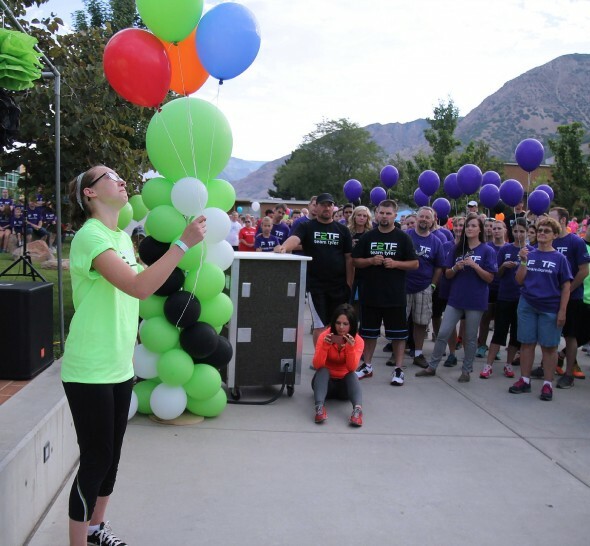 We had over 1600 sign up for the 5K, and it was again, a glorious sight to see the teams walking in early that morning, colorful t-shirts honoring those loved ones who have fought, or who are now fighting in battles. The weather could not have been more perfect, the venue again was great (albeit there were a few trucks, tractors, and holes that we didn’t know about until that morning! ), and things seemed to fall into perfect place, thanks to a wonderful committee. Becky, as usual, delivered a most powerful message to all about hope and looking to our ‘armies’ to help us fight the good fight. I think everyone felt better after being there. We were able to raise enough money to fund Giving Trees for another year and for that I am so grateful! For those of you who have already submitted requests for trees, thank you! We are grateful there is a way, because of you, to try and bring a bright spot and small bit of hope to someone else who is suffering. Here are two videos that were graciously taken and donated to the cause – thank you Landon Weeks and Ambit Films for once again, helping preserve the memories of that day and capturing the inspiring feeling we all had there. Click here for Landon’s amazing video. Click here for Ambit Films’ awesome video. Sweet Maddie and Sue - I love them! Team Hedlund Rocks - Some of my favorite heroes! ...and the masses begin! Such an awesome sight! Happy Birthday Tyler! I wish you were here to celebrate, but somehow I think you’re here with us always. Thank you for teaching us about hope – the kind of hope that will encompass all joys and sorrows. We love you and cannot wait to see you again! It’s been about six months since I’ve even logged into this blog. I haven’t felt the desire or any event significant of writing about. 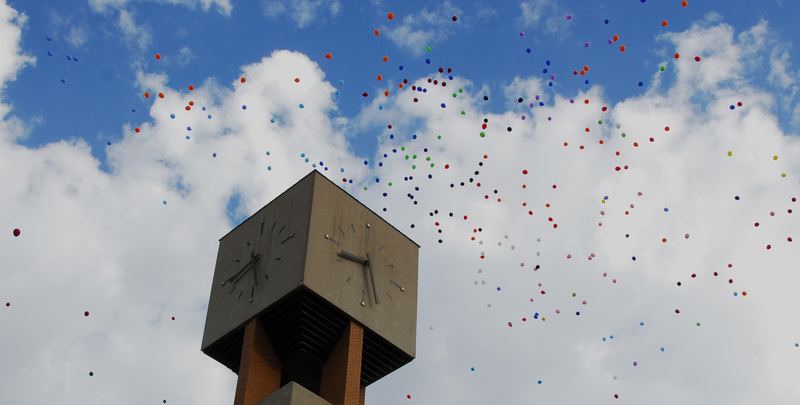 The saying that ‘time marches on’ holds true for us, as it does for the rest of the world. New days come and go, and lives move forward. I’ve said before, sometimes it feels as though Darren and I are stuck in a time warp. There still isn’t a day, not really even an hour that goes by, that Tyler doesn’t creep into my thoughts. I know that Darren feels the same, probably even more intense than I do, because I find myself busying every waking minute to avoid ‘idol’ time. When I have too much time to think, it isn’t good for me. But, nevertheless, we are finding ways to move forward. We are loving our grandbabies and enjoying the paths that our children are choosing. Tanner is almost ten months into his mission in Paraguay and enjoying his life of service there. Things are not easy for him, but he has learned how to do ‘hard’, and is finding great satisfaction in the challenges. Taylor is enrolled in school up in Rexburg at BYU-Idaho and is content with his new social life, a good job, and progressing in school. Erika and Brian are still living close and are kind enough to bring the grandkids up and let them help heal our hearts and our minds. Indeed, our lives are still very blessed and we realize that. One of the projects I keep myself busy with is the Giving Trees. I don’t write about them much because I feel the need to protect privacies of those who are going through difficult things and want to keep them to themselves. Since Tyler’s death, we have given over 100 Giving Trees to those suffering with life-threatening illnesses, mostly cancer, and I have found great satisfaction in seeing a measure of joy on the faces of those who have been fighting life’s toughest battles. I had the amazing opportunity to meet one such fighter this past weekend, and with her mother’s permission, I want to share her story – hopefully so those who are fighting hard battles of their own will find strength in her story. Occasionally, because of our time in Primary Children’s Medical Center, I will be fortunate enough to make contact with another cancer fighter who we feel could use a little smile – some hope that life doesn’t have to be all about pain and suffering. I was put in contact with Nicole, a single mother of a three-year-old little girl with Neuroblastoma, Stage IV, who is fighting to stay here on this earth. Sunday morning, I took a few of my sweet teenage-aged friends to PCMC to meet up with this family. 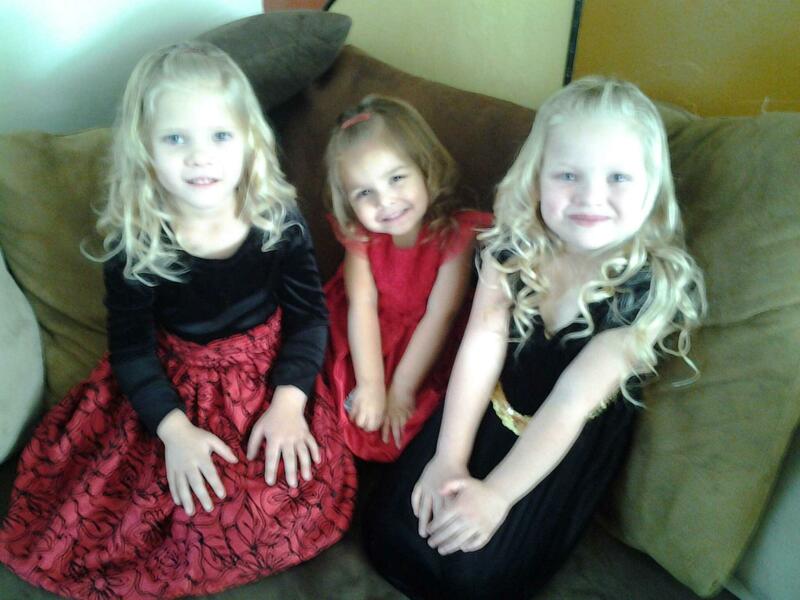 All we knew is that mom had three little girls – five-year-old twins, and Keanna, the little one with cancer. We stood in the lobby watching for someone with three little girls to come in, when we saw her. My heart skipped a beat as we walked to her. I could feel her spirit and her strength before we even met and exchanged names. The twin sisters were every bit as charming as well, holding hands and so quiet and sweet as they were introduced. We only chatted for a few minutes before we gave Keanna her Giving Tree, this time not a real tree, as she is post-bone marrow transplant, and they cannot have living things like that in close proximity because of their extremely vulnerable immune system. We bought darling silk branches and made our own ‘tree’. We had filled it with gift cards and a bit of cash for this family. We visited for only a few minutes, because Keanna actually had to go in to the hospital with a few complications. As we got ready to say goodbye, Keanna, with her giant eyes, motioned for us to come down to her level so she could tell us something. 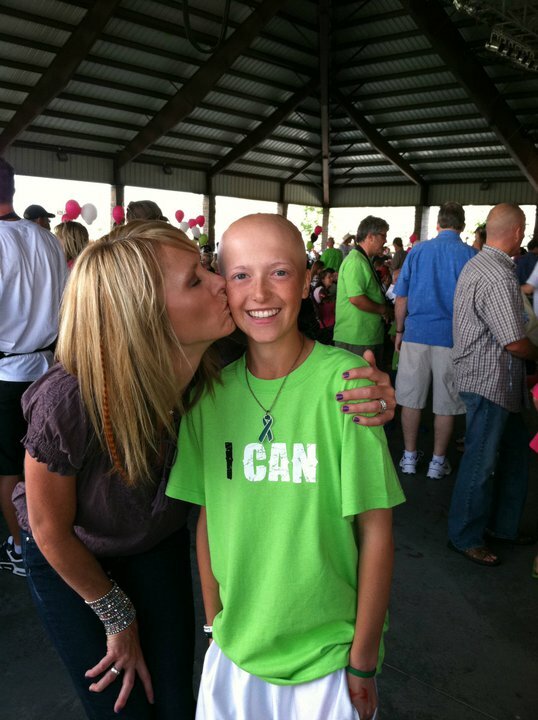 As we put our heads close to hers to hear her tell us goodbye, she whispered, “I’m so strong”. That’s all. No goodbye. No other words. Just a reminder to us of her unfailing spirit and strength. That is so something that Ty would have done, probably not as sweet and tender as Keanna, but more like a roaring lion! He always liked me to take pictures of his ‘muscles’ while he was in the hospital. I think he actually posted one on Instagram when he had been admitted, demonstrating how ‘strong’ he was as well. Maybe that’s why it hit me so hard. I quickly said my goodbye’s and cried all the way to the car. I couldn’t stop thinking about her all day. I know that these trees cannot pay off medical bills, buy a new car that is probably needed, or make a rent or house payment. I do hope that they bring a measure of peace, knowing that there is still good in the world today, and that people are always willing to help when asked. 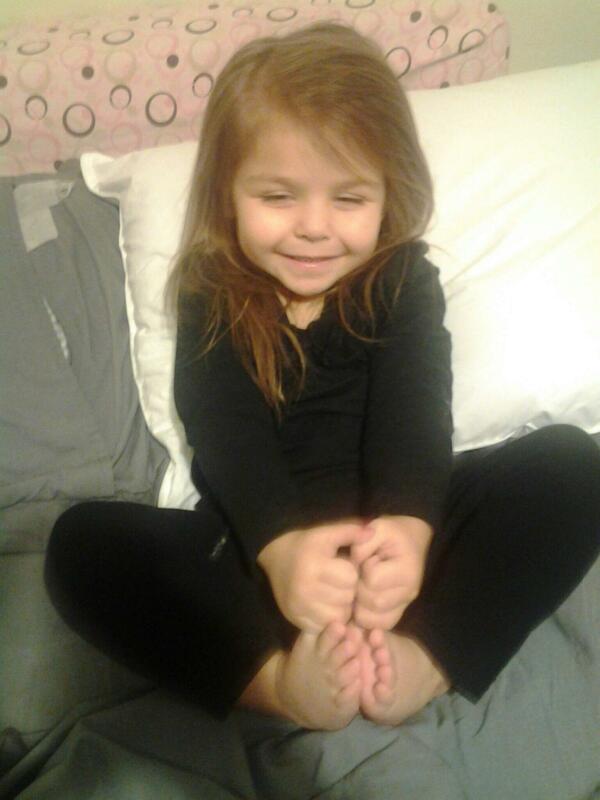 This little sweetheart will be in my constant thoughts and prayers, as are so many I have met along this journey. Thank you so much for all you do to help us continue to provide these trees. The 5K coming up on August 9th should be able to fund a years’ worth of trees! 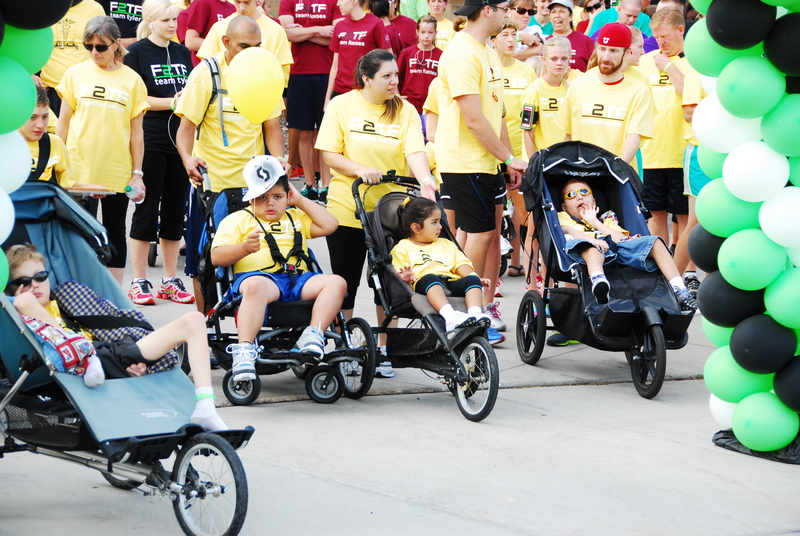 Our registrant list is well over 1200 so far, with almost 40 teams of warriors to run in honor and celebration of! I am so excited to share this event again with so many who need a great cause to celebrate their loved ones also. I think Ty would be proud. 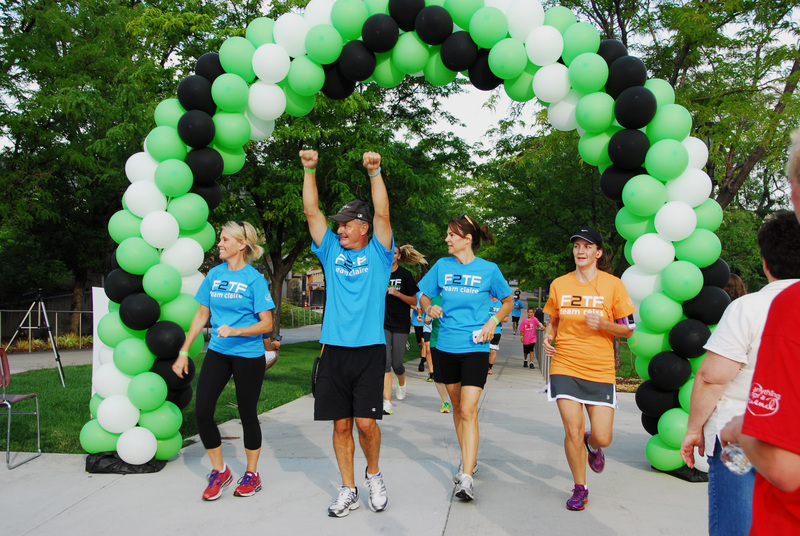 If you are looking for something to do Saturday morning, August 9th – it’s not too late to register online at www.anythingforafriend.com, or just show up the morning of the race. It’s not like any other 5K you’ve ever been to. There are no ‘winners’ – just ‘finishers’…as we all have the responsibility to ‘Fight to our own Finish’. Come find out what Hope looks like!! Well, I have yet to write anything on Tyler’s blog and it has been 18 month’s now since I lost my son. Not a day goes by that he does not consume my thoughts. Three years ago, my life was perfect I thought. Things were going well at work, my marriage was great, and my children were all doing great and growing up. My daughter had just had her first baby, and I became a grandpa – one of the greatest blessings in this life. My older son Taylor was on a mission in Houston, and I was enjoying hearing about his experiences as a missionary. 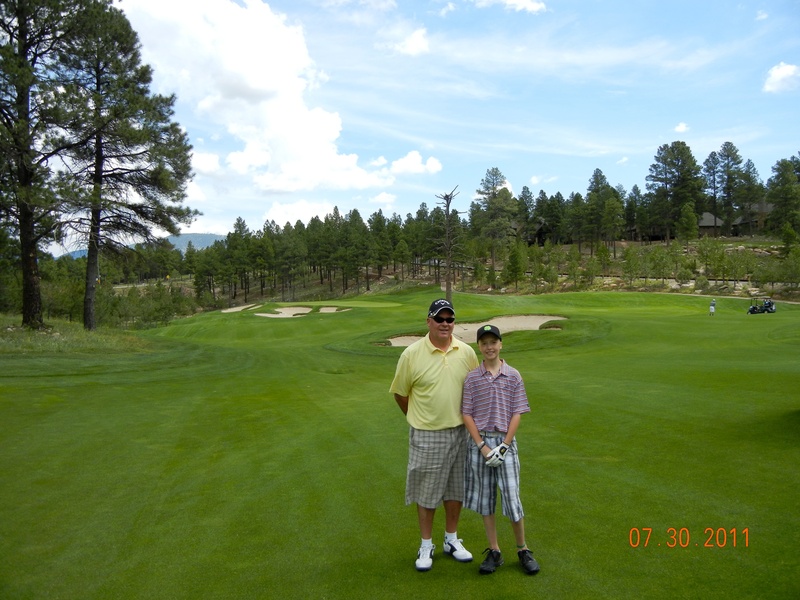 Tanner, my second son was now becoming a great golfer and I was finding it a challenge to try to keep up with him. He was also playing on a competition basketball team and I enjoyed going and watching him play. Tyler was my youngest. We had just finished up football that fall. We were back-to-back mini-bowl champions in his division. I had the great opportunity to coach Ty for 5 years. The first weekend of May 2011, I took Tanner and Tyler to Las Vegas for a weekend and we played golf all weekend. It was a perfect weekend. The weather was great and I was playing golf with two of my boys. They were becoming great golfers by now and they challenged me on the course. At that time I did not know that in one week, my life was going to be turned upside-down. I did not know that this would be the last great weekend with my boys golfing. That next week I was in Dallas, for meetings. I left on a Thursday and would be returning on Monday. I really did not want to go-Ty had two basketball games while I was gone. I hated to miss any of my boys’ games. Friday night he called me after his game and told me I missed one of his best games. He scored 22 points and told me he was on fire from the 3 point line. Well Sunday came around and as I was getting ready to go off to my meeting that day, my phone did not charge over the night. I didn’t think I would need it on a Sunday, so I left it in my hotel room to charge. When I got back to my room that evening, I saw that I had missed several calls from Ann. I called her and she said Ty had been really sick and did not go to church. She had taken him in to the doctor that afternoon. They came home with nothing to report. Later that night Ty became very sick and Ann took him into the emergency center. That was when I got the next call from her. It was then around seven in Dallas. I told her to keep me updated and I would have my phone with me. I had a very uneasy feeling that night. I knew something was wrong but cancer never crossed my mind. See, cancer does not run in my family or Ann’s. It was one of those diseases that I thought I would never have to face in this life. I felt so uneasy that I even packed my bags. I just had this feeling that I was going to have to catch a early flight home. I caught a flight from Dallas early that morning and arrived home in time to take Tyler to Primary Children’s Hospital for further tests. In the next few weeks, I witnessed a young 14-year-old boy that had more strength than I have ever had. Not once did I hear a complaint or crying as I watched him go through several chemo treatments and through his sickness. I watched him vomit daily and when he was done he would shake his head, wiggle his body, and then that ‘Tyler’ smile would appear and he would say, “I’m hungry… can we go out and eat? or, “Can we go play golf today? A father is to teach his children valuable lessons of life, and yet, on most days, Ty was the teacher and I was the student.. From the time Tyler was born, he had a love of life. I don’t recall him ever being in a bad mood. When he was awake, he lived that day at full speed. Since he was just a toddler, by the end of the day he would be physically exhausted and it would take him less than 30 seconds for him to fall asleep each night. Well, as the weeks went on and the test were being done, we were told that the chemo was not making any headway. We knew at the start that the chance of chemo working was less than 10%. I knew from the beginning of this journey that I was in need of a miracle from God if Ty was going to beat this cancer. Ty stayed pretty healthy as far as staying out of the hospital with fevers and such. In fact, he was able to do most of what he wanted. 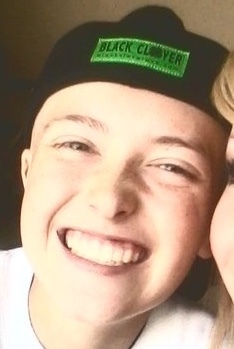 It kept hope alive in me that just maybe, Ty would beat this cancer. I have never played more golf in my life as I did the fall of 2011 and the spring of 2012. I’m grateful that I was able to do so. Golf was a passion for Ty, on one day as we were driving home from a round, Ty said, “Dad, I think I have an addiction.” I said, “You do?…an addiction to what?” He said, “I am addicted to golf. 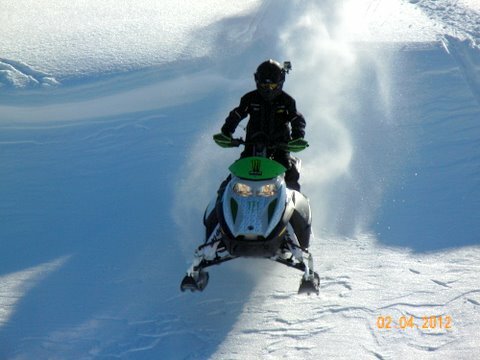 I love golf so much, I just can’t get enough.” He had this same passion for snowmobiling in the winter also. When May 2012 came around, Ty’s health seemed to be getting worse. He was starting to need blood transfusions because he was vomiting blood. My heart became very heavy once again as he seemed to take a turn for the worse. Mother’s Day will never be the same for me the rest of my life, for it was on Mother’s Day 2012, that we were at Primary Children’s Hospital again for the 4th or 5th straight weekend. This time, though the blood transfusions were going right through Ty. They could not stop the internal bleeding anymore. It was this day that we had to tell our son that there was nothing more they could do for him. This would turn out to be the second-hardest day of my life. We were sent home that night not expecting Ty to make it through that night. He did, and when he woke up on Monday, he wanted to play golf. We did just that at Davis Park. By Wednesday, he was doing even better and we played 18 holes at Ogden Country Club. We were to play again on Thursday but Ty wanted to go to lunch with some of his friends. He said, “Dad, lets play on Friday instead.” Well Thursday night, Ty made another turn for the worse, and by Friday did not have the energy to play golf. On Sunday morning, May 20th, at about 1:30 I got my last hug from my son. He sat up in his bed, gave Ann a big hug, and then turned and gave me a big hug. He then laid back down as he took his last breath. This was the hardest day of my life. As I look back, I had prayed for a miracle that my son would live and beat this cancer. He did. I now realize that, though I did not get the miracle that I wanted, I did get a miracle. Ty was given 3 months to live and he lived 1 year and 5 days. We did everything he and I wanted to do. I did nothing new or different with him that we had not done up to him being sick, we just did more of it. That year that he was sick, I never saw him as being sick, I just saw this as a set back. 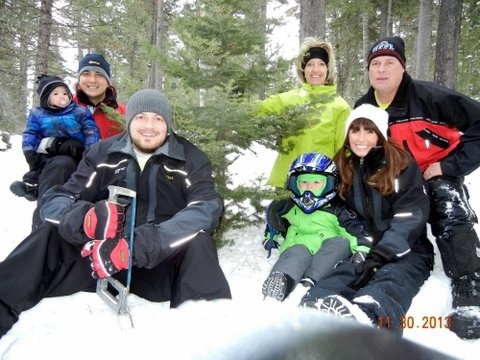 See, we still did plenty of golf and snowmobiling. I am so thankful for that year to do more of what we liked to do. It wasn’t until he after he passed away, that when I looked at pictures of him then, I could see how sick he was. To me, while he was alive that last year, he was just Ty to me. He still had that big ‘Tyler’ smile. I now know that this was a tender mercy from my Father in Heaven to me. Without this tender mercy, I would have spent that last year in pain and sorrow. I didn’t. I enjoyed every minute of everyday that was spent with Ty, never once thinking that this may be the last time we ever do this again. Since Tyler’s passing, I have never felt such pain and hurt that I was now experiencing in my life. There are not words in our language that can even begin to describe this pain. My faith has certainly been tested. I heard a lady who had lost a child say that it takes a different kind of faith to continue on with this life. At the time, I agreed. I still do, but I have changed the word ‘different’ to ‘deeper’. It takes a deeper kind of faith to continue to move forward. I found myself asking myself if I truly believed what I had been saying I believed to that point. It now took on a whole new meaning. I am thankful for the wife that I was lucky enough to convince to marry me. I knew at the time I got married that I was marrying way above myself. She is a rock. She is solid. At times I envy the strength she has shown. I myself have never cried more in my life. Before Ty got sick, I could have counted on one hand how many times I may have cried in my life. Now I could count on one hand how many days I have not cried in the past 2 1/2 years. I have become very emotional and it is still difficult for me to speak about Ty. Writing this is a huge step for me. Through all of this, my testimony of a loving and living God has been strengthened to a greater height. My testimony of Jesus Christ and his atoning sacrifice is much more real and has a much deeper meaning in my life now. I have pondered the words in Matthew chapter 11 verses 28-30: “Come unto me, all ye that labour and are heavy laden, and I will give you rest. Take my yoke upon you, and learn of me; for I am meek and lowly in heart: and ye shall find rest unto your souls. For my yoke is easy, and my burden is light.” I have found peace and comfort as these words have sunk into my heart. From a couple of tender mercies from my Heavenly Father, I know that Ty is still very much alive and a part of my life. Though I can’t see him, which I would prefer, I know he is my angel watching out for and taking care of his Dad now. In the wisdom of my lovely wife, she had me hang some decor in our bedroom over the door. I read it every morning on my way out. It says, “Life is all about how you handle plan B“. I have thought about this so much. Everyone in this life will have to handle plan B – some a plan C, and so on. This life is the time to prepare to meet God and we will be tried and tested in one way or another. At some point all of us will have to follow a plan B and that will be our test to see how we handle it. In the sight of the Lord, it is not so much what we have done or where we have been but much more where we are willing to go. Thanks to many for your prayers on my behalf. I thank you for praying for me to have peace and comfort in this life. 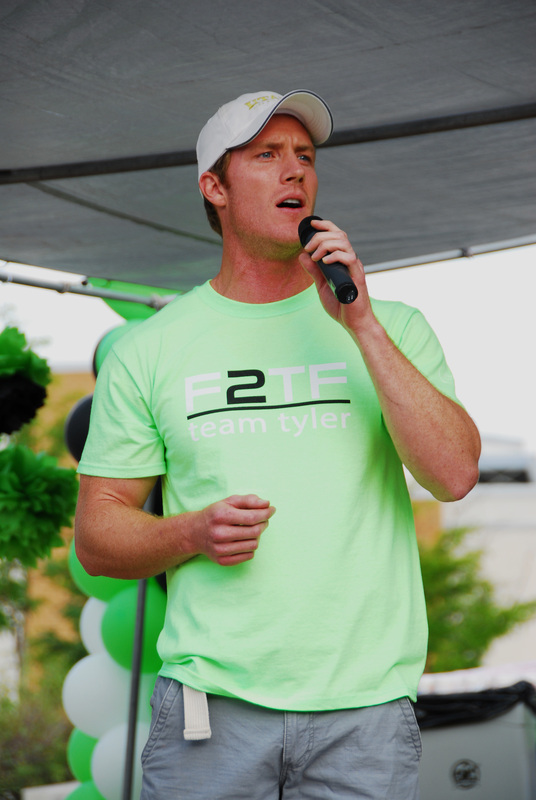 Though a day does not go by that I don’t miss him and still have pain not being able to share this life with Ty, I know that the day will come when I will see his face and see that ‘Tyler’ smile once again. Then will my joy be full once again. Until then, I will continue to press forward with hope and faith of this day. Oh how I love technology! It can be such a blessing in our lives…I remember when my brothers were on their missions in Guatemala and Japan, it would take a good two weeks for letters to get back and forth. By that time, we’d forgotten the questions that we would be getting the answers to! News would be ‘old’ by the time we got it…but we didn’t know any better, so it was exciting to get that thin red, white and blue folded piece of paper stamped ‘airmail’ in the mailbox each week! When Taylor left four years ago, I would anxiously sit by the computer on Monday mornings…I knew about what time he would get on the computer there, so I would just keep ‘refreshing’ my email to see when it would finally come through! Email Mondays were my favorite! Now that Tanner is out of the Argentina training center and in Paraguay, his preparation day is Monday also, and I wait just as impatiently for that email to come through…it’s like Christmas every Monday…he informed us last Monday that he has had a fever of nearly 103 the past few days and had been quite sick. Not always what a mother likes to hear when her son is a continent away from her…it is close to midnight this Sunday evening, and although I am exhausted, sleep will not come because of the anticipation of these emails I have come to love! 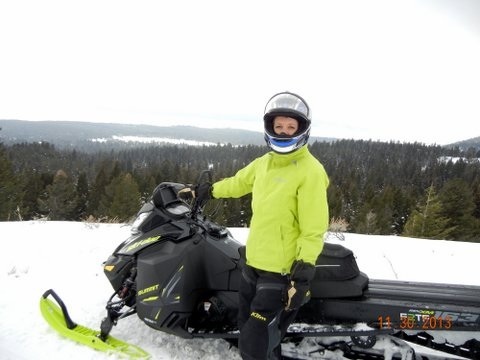 As I rode down the trail flooded with memories of Ty (I ride his snowmobile and wear some of his clothes), I was also missing Tanner and thinking about the upcoming email I need so much. I got thinking, ‘What if I could just get one email from heaven?’ What would I give for a little vibration on my phone, alerting me to a message that Ty’s okay now, what he’s been up to, and that he’s happy and great…enjoying his new adventures very much, but looking forward to the day when he can be with us again. That’s what I’m imagining Tanner’s email is going to say Monday-couldn’t I just get one from Ty too? I know she’s right. My ’emails’ are there, waiting to be recognized. I have a loving Father in Heaven who desires to bless me and ‘communicate’ with me with all he has given me. This season, I am grateful for this knowledge, and mostly for my family and the love we have for each other…those bonds will never be broken. I hope all those who have lost someone dear will be able to ‘open their emails’ as well and see the tender mercies of the Lord in all they have been blessed with as well. I believe He is constantly placing loving signs in our path if we will only open our eyes and recognize them! Ty doing what he did best! 11/12/13 by Team Tyler | Updates | Comments Off on Ellie’s Dodgeball Tournament! 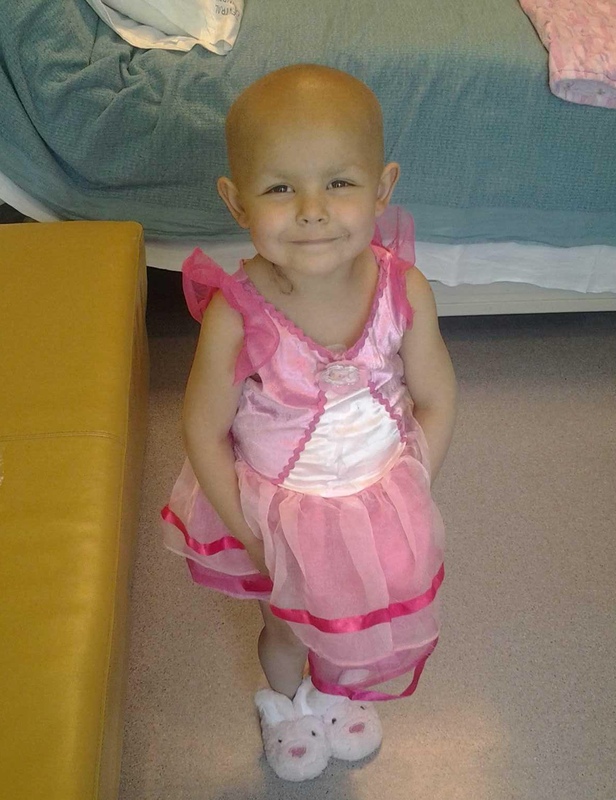 Ellie is a 6 years old girl who was diagnosed with a sarcoma of the kidney. She has a long, hard road ahead of her. 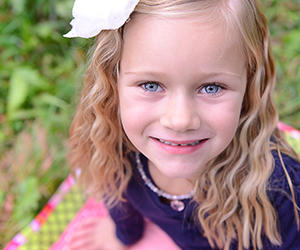 We would love to help their family with anything they need to make Ellie’s journey a little easier. A group of 4 college students are holding a dodge ball tournament to raise money for Ellie and her Giving Tree! They need your help to raise as much money as possible! Come support! Even if you just come to watch! 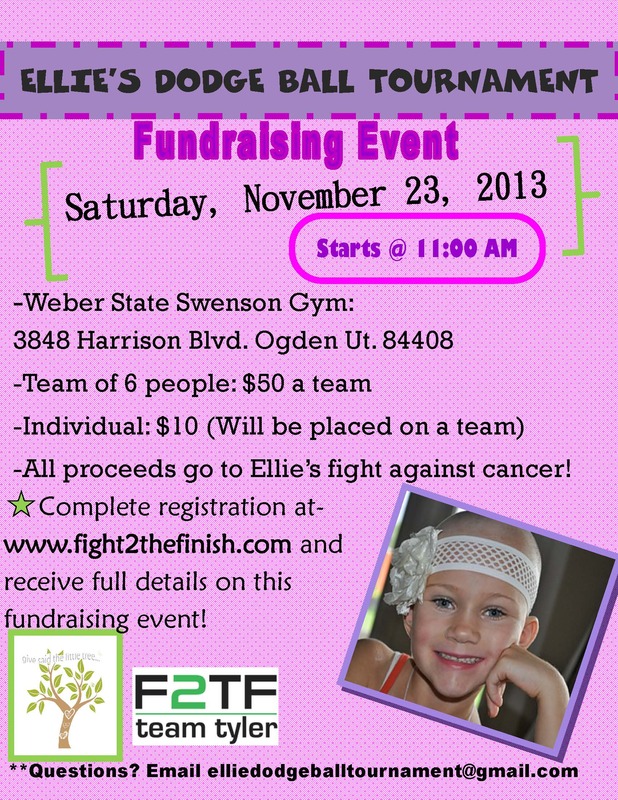 This dodge ball tournament is a great way to have fun while helping Ellie fight cancer! Please arrive 15 minutes prior to the event start time (11 AM) and make sure your team is completely registered. If you would like to make this experience even more amazing, have your team come in matching attire so that teams can be easily distinguished. Desserts and beverages will be provided at the event to buy. All proceeds will be given to Ellie! This event will be a blast and one Ellie and her family will love!! Any donations would be greatly appreciated!! 3. Send an email to elliedodgeballtournament@gmail.com and list desired team name and each individual on the team! Or just your name if you sign up as an individual. -The first option is for teams of 6 people to pay the $50! -The second option is for an individual player to pay $10! -The third option is to donate to Ellie’s cause! This has been a very emotional week for our family. Last Thursday, we said goodbye to Tanner as he walked away from us, through security in the airport, and flew off to serve the people in Paraguay for twenty four months. I am so proud of him and his decision to serve, but it’s not an easy thing for a mother to watch her son walk away for two years, only to be able to hear his voice on Christmas and Mother’s Day! My heart has been quite heavy the past few months as I anticipated his absence from our home. But, at the same time, I am looking forward to reading about his experiences and meeting the man who will return home to us who left us as a boy. So, while I am still reeling just a bit from Tanner leaving us, Tyler’s 17th birthday comes right around the corner. I have wondered if I should let this birthday go by without acknowledging it on the blog, but decided tonight that I would like to still give Tyler a birthday present. Last year, I asked people to give Tyler a gift – a ‘gift of their heart’. I asked for people to make a change in their lives for the better, write it down and put it in the gift box at Tyler’s grave. I was both amazed and honored when I went to the grave that night and saw his green gift box overflowing with notes and letters of loved ones committing to improve some aspect of their life. I know Tyler would have loved that birthday. I remember the promise I gave him for his birthday, and I am still conscious of it and am still trying to improve on it. This year, I would like to do another ‘gift of the heart’, for Ty’s birthday. I would like all who would like to participate to do a random act of service for someone on Tuesday, October 15th, Tyler’s 17th birthday. It doesn’t have to be an all-day service project, but maybe just a small act that would make someone else smile for the day and remember that they are noticed and loved. Sometimes, we are the only way that Heavenly Father can show another person that they are noticed and loved. I have had that witness many times over the last two years – that my Heavenly Father knows who I am, when someone happens to show up at my door, sends a card, or makes a phone call to check on me. I would ask that each of us be that person, if not every day, at least on Tuesday, as a gift to my son. I know he would love nothing better than for us to spread happiness that day, and perhaps show someone who was slipping into despair that they are noticed and loved by us and a loving Heavenly Father. If you would like to share what you have done, I would love to know about it. I will have a gift box again at his grave. If you cannot go, please remember to still serve someone…it will mean just as much to him. 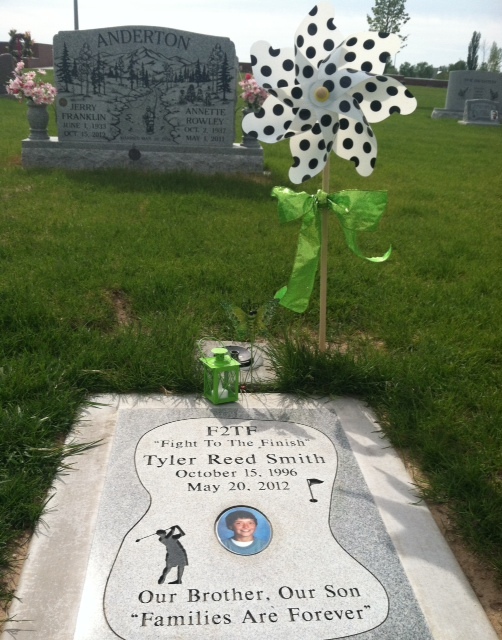 Happy 17th Birthday Tyler…we miss you with all of our hearts and wish you were here celebrating with us. 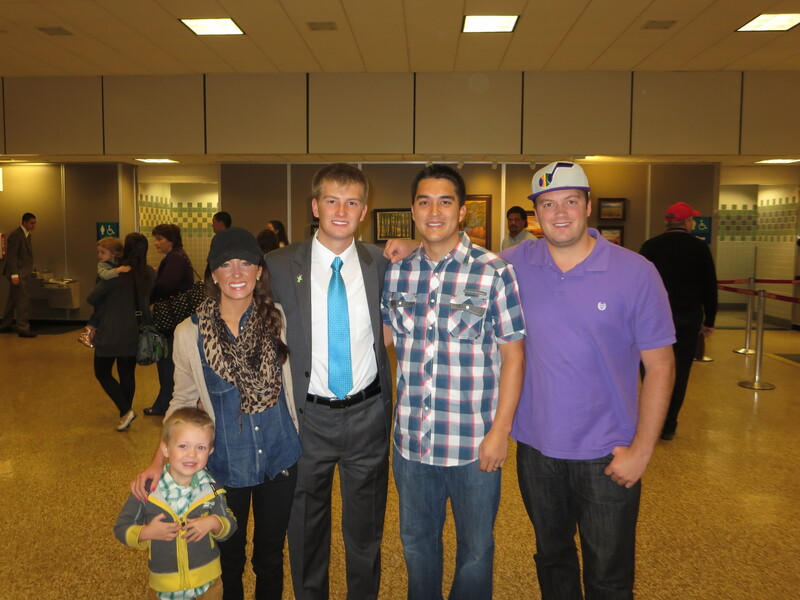 Our family looks forward to the day we are reunited and can enjoy eternity together! I’m a little behind in posting about this awesome event-working full-time definitely adds a new dimension to stretching my time! I’m still trying to get the hang of adding 40 hours of work outside the home to my schedule! However, this amazing morning was too cool to not post about. Every time I think about it, I have to smile – it was that great! Get ready for a marathon post with pictures – there’s a lot to talk about!!!!! From the time we announced the creation of the race, registrations began pouring in. Before we knew it, we were up above 1000 registrants – 30 teams of fighters to be honored. We were completely blown away! We scrambled to get some help and as usual, had fabulous people ready and willing to take the reins and get each aspect of the race organized. Thank you so much to all those who stepped in and saved us!!!! I’ve said a picture is worth a thousand words, so the pictures are going to do the talking now. There were so many touching things that happened during this race, I would have to write a book, so this year, you’ll just have to see the pictures and imagine you were there. Next year, you’ll have to join us and see what the excitement was all about. I can tell you that there was one common denominator the whole morning – smiles. We all had the common goal of honoring those we loved. It wasn’t about winning – it was about finishing…F2TF. Casey Elliott singing "Go The Distance" - AMAZING!!! ...and they just kept coming! All 1500 of them!!!! Bellas in Farr West donated breakfast burritos - delish! And Allie Dixon Schroeder, my sweet friend, put together this amazing video from the ground. Grab your tissues…you’ll need it for both of them! Thank you friends for being so willing to share you talents with us! Thanks for helping us continue the Giving Tree Legacy another year. We are able to double the amount we put on each tree, so thanks to you, a wonderful service will go one another twelve months! I can’t believe it’s almost August! 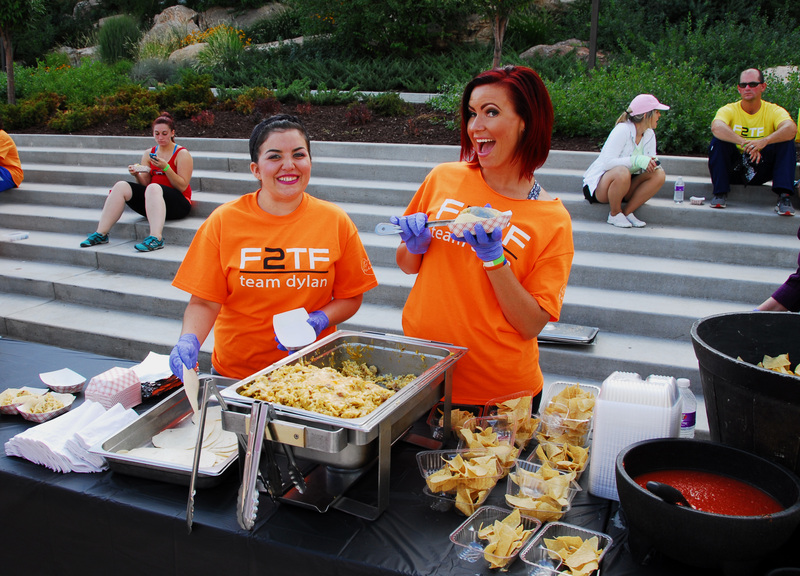 Which means the F2TF 5K is just around the corner! 18 days to be exact….. I am going to walk through the registration process for those who may need some help. 3. 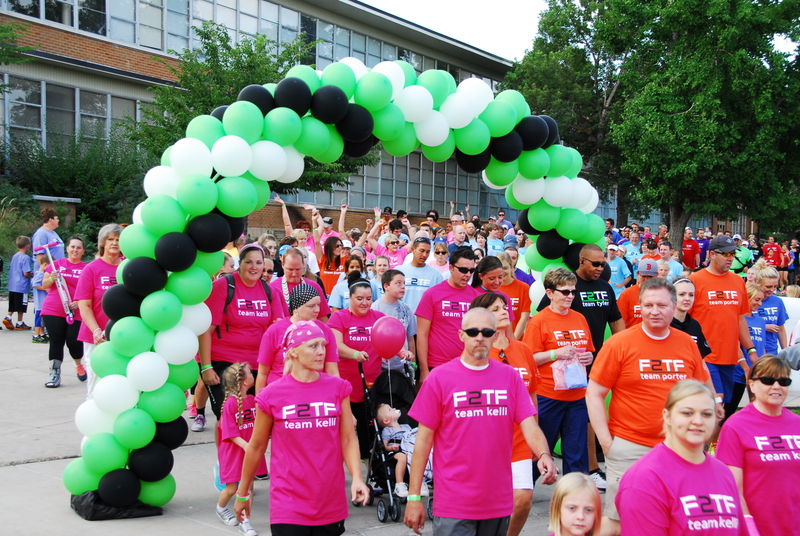 This brings you to the F2TF 5K home page. Scroll down the page a bit and click on “Register Now”. 4. Fill our your information as listed. 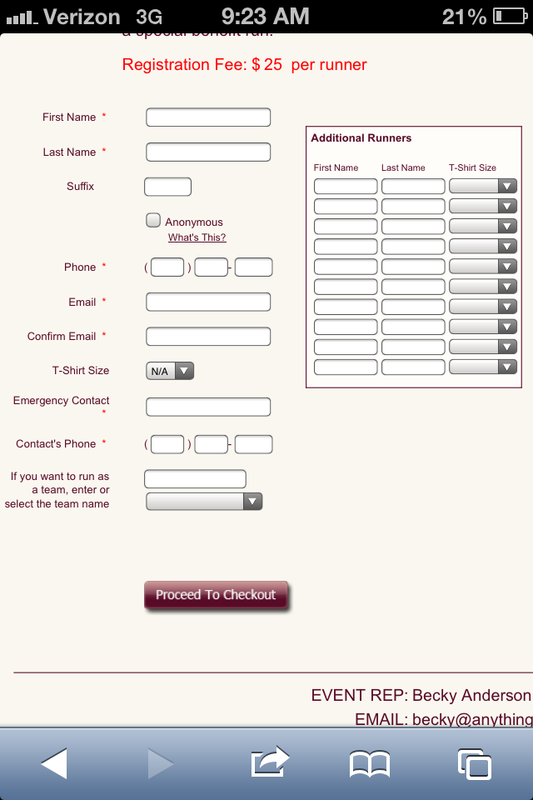 If you wish to run with a team, you can choose from a list of teams that have already been organized. If you wish to start a new team, enter your team name and remember that if you have 25 people or more with your team, you get custom F2TF shirts! 5. Checkout and finish by paying a registration fee of $25.00. Please come on August 17th and help us spread hope to those who are going through difficult times. All of the money goes towards the “Giving Tree Foundation”. I promise it will be an inspirational day for all who attend! I think we’ve all been taught that we should serve others in this life. I know my parents did a pretty great job with that, just teaching by example. Memories of my childhood are full of my mother taking meals to the sick and afflicted and my father fixing or building constantly for someone who needed his services. I cannot say I didn’t know better, but as years went on, with life rolling by unchallenged, I forgot how important this was. I tried to help out when I could, and I always felt better when I did, but I didn’t see it as being essential. Not until our own challenge, with Ty’s diagnosis, did I really see what the concept of service really meant. From the minute the word got out, we were ministered to constantly. There were meals, notes of encouragement, lawns mowed, anything anyone could do to help, it was done before I even realized it was a need! I’m not sure how all of you countless angels felt, but I would venture a guess that you felt great knowing the load you lightened at our house. It isn’t a matter of “paying back the service that has been shown to us”. It’s about serving always, because that’s what we’re expected to do. How grateful I am for you all for teaching me another important lesson. I still have a long way to go before I can join the ranks of so many who literally wake up each morning and begin their day fulfilling others’ needs, but I am grateful for the vehicle of service that has come because of Tyler’s illness and lessons here – The Giving Tree. I’ve outlined a few times before how the trees began, but I haven’t spoken much about them lately. We just delivered our 35th Giving Tree this past week. What an incredible experience these have been for not only my family and me, but those who have also been involved in the preparation and presentation of a tree. In the next post, I will share one of so many incredible experiences we have had when we deliver a tree. The small amount of work it is to get a tree together is completely erased in the joy we receive presenting to someone who is fighting for their earthly life. More information is on the Anything For a Friend website (www.anythingforafriend.com) or you can always email me with any questions (promconnection@msn.com). If you would like to help, please send me an email and let me know…we always have needs! 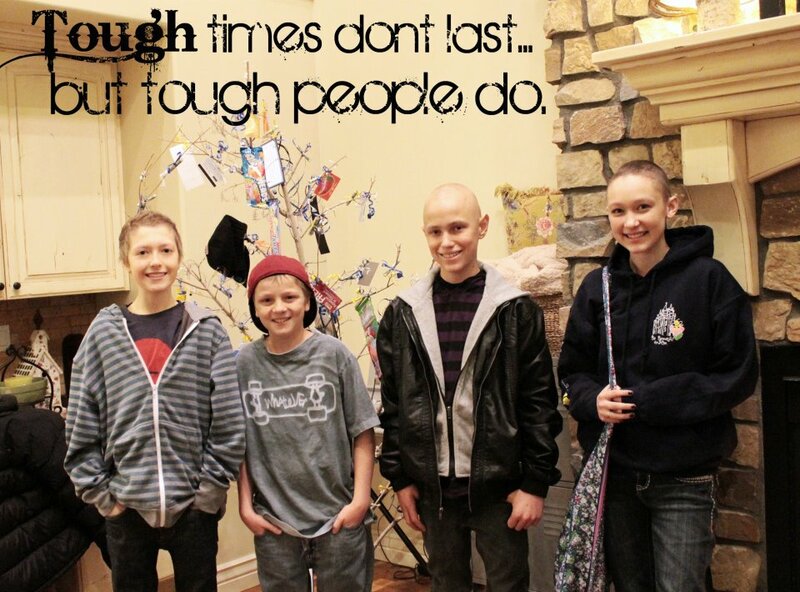 I know I've put this photo in before, but this is the reason we do this...these kids will always be my heroes! Tomorrow is Mother’s Day. It’s been one year tomorrow since Darren and I knelt down on either side of Tyler’s hospital bed and told him that there was nothing more any of the doctors could do to help him and that he would probably not make it through the night. One of the three hardest days in my 40+ years of existence. A few minutes after we talked to Ty, a sweet little volunteer came into the room and handed me a box of chocolates, wishing me a Happy Mother’s Day… I remember the whole thing like it was yesterday, yet it’s now been 365 days since those darkest hours. This year, I’m still a mother to four wonderful kids, one awesome son-in-law, and two even ‘awesome-er’ grandchildren. I’m very grateful for the gift I’ve been given to be a mother here on earth. My kids bring me joy and sunshine every day. I’m trying my best to focus on that this weekend, instead of the terrible ‘day’ it was last year. I am a mother each day of the year, not just tomorrow. I’ve felt some pretty significant anxiety on the weeks coming up this month. Isn’t it crazy how a certain number and a certain month can bring about such emotions? After all, I don’t understand how, just because it’s a number, I can feel distinctly worse or better than I did the day, or even month before. I am trying to wake up each morning and tell myself this and realize it’s all how I view things, and how I choose to act or react each day. A wonderful friend gave me a book last year, (Thanks Holly!) called “See Good Days”, by Emily Freeman. I think I have read more books in the last 24 months than I have read in the rest of my years combined! But this one is a keeper! Each chapter has given me new insight on how to see each day as ‘good’. It’s all in our own perspective. She is right. Breathing is essential. I know how to breath. She also related a story shared in General Conference years ago about a man named Henry Clegg, Jr. Henry came to the states from England to join the saints in Utah. He and his wife and children said goodbye to their elderly, frail parents, knowing full-well that they would never again see them in this life. They began the long handcart trek across the plains. Henry’s wife became sick with cholera and died. They buried her in an unmarked grave along the way. A short time later, Henry’s young son also died. Henry, heartbroken, carried his child’s body back to his wife’s resting place, carefully unburied her, and placed their son in her arms and reburied them together. He then walked five miles to join the company. Henry was also suffering with sickness and still had a thousand miles to walk. But still he continued on. Okay, I can do that. I can still go forward. My stride might not be as big as I’d like it to be, but I’m not standing still, and I’m definitely not going backwards. The heartbreak of this man must have been so overwhelming, yet he chose to keep going, and that’s what our family will also do. There is much to be done. I went to Tyler’s grave today for a visit, and felt very comforted. He is happy. He is busy. He wants us to do the same here until we can be reunited again. There are at least four Giving Trees that are waiting to be done and plenty of people in need. I have recently had news of more relapses and cancer diagnoses. People are going through difficult times. We need to be there for them. Please remember to pray for those who need peace and comfort. I suppose the bottom line is, we won’t always have good days, but even in what feels like the hardest of times, we can choose to see good days, if we focus our perspective in the right direction. I’m not always great at this, but learning how to improve each day. I hope Mother’s Day is a wonderful one for all those out there who are mothers, who will someday be mothers, and for those who choose to mother children in need. Thank you all for your efforts in making life better for me, for my family, and all those around you! So grateful to know we are an eternal family!